As most of you already know, I am kind of obsessed with being prepared. I should have been born a boy scout. I have found the perfect site for me at GoalZero.com. Goal Zero makes a ton of great products perfect for the "preparer" in us all. They make so many great products, it's hard to choose a favorite. I would have to say that I think one of the coolest things that they have are solar powered chargers for your cell phone, laptop, iPad, etc.. I can't imagine how useful one of these could be in an emergency. If you need to charge more than just a cell phone, don't worry. 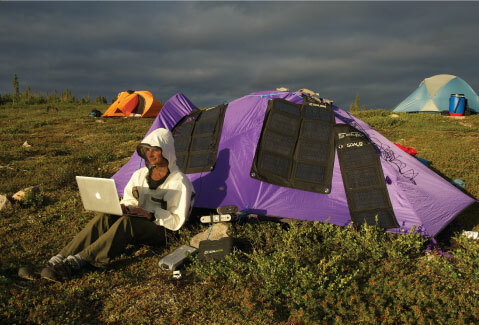 Goal Zero has many different kits, some of them are even capable of powering a TV or a small refrigerator. I just can't say enough about how cool this technology is. I mean, when you are building an emergency preparedness kit, a generator is usually one of the first things you think of, but with something like this, you don't need a generator. It's completely silent, and you don't have to keep refiling with fuel. Imagine the convenience. I love that Goal Zero is filling this niche in the market where there has once been a huge gap. It doesn't really matter if you are looking for a solar charger to be able to run your TV during the zombie apocalypse, or if you just want to recharge your cell phone on a camping trip, Goal Zero can make those dreams a reality. I can't imagine anyone who wouldn't want to have one of these on hand in case an emergency strikes. What I really love about these kits is that solar power is free. All you have is the up front cost of the solar panel and the kit, and after that, you are in the home stretch, with no more money to spend. I am really hopeful that we will be able to get one of these Goal Zero kits soon to add to our emergency kit! This has been a sponsored post for Goal Zero, however all thoughts and opinions are my own.